Born the fourth out of 9 children Immanuel Kant was brought up in the traditions of the Church.His education was arranged a s young boy by a local pastor known by his parents. He saw potential in Kant, and pushed him to learn the classics and become well versed in Latin. All of that pushing paid off as Kant enrolled at the University of Konigsberg with the intention of studying theology. Soon after going to university, however, he found his interests drifting more toward mathematics and science. He would have continued his studies if his father had not died in 1746. He had already published several academic papers by then, and was helping to define both rationalism and empiricism through his debates and his quest for a middle ground. From Kant’s perspective, what is right is right and there is no grey area to be explored or debated. Humans have a moral obligation to follow these laws of right and wrong. 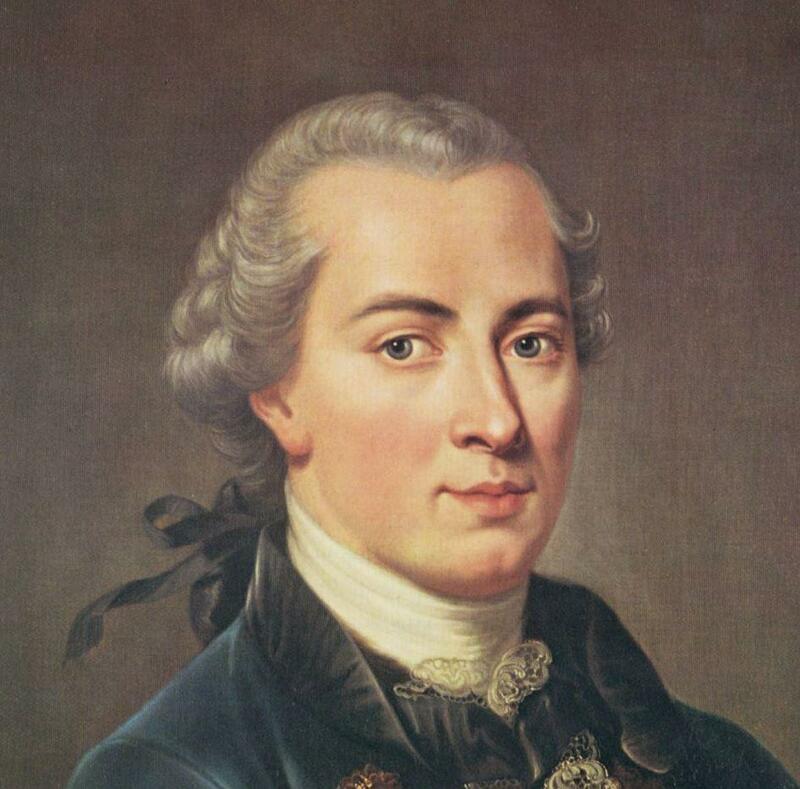 Kant would spend the majority of his life writing philosophy, but he began lose his memory later in life. He died at the age of 80, embittered by his lost intellect, in the year 1804.